Last year in September I submitted some cards to a magazine for publication. 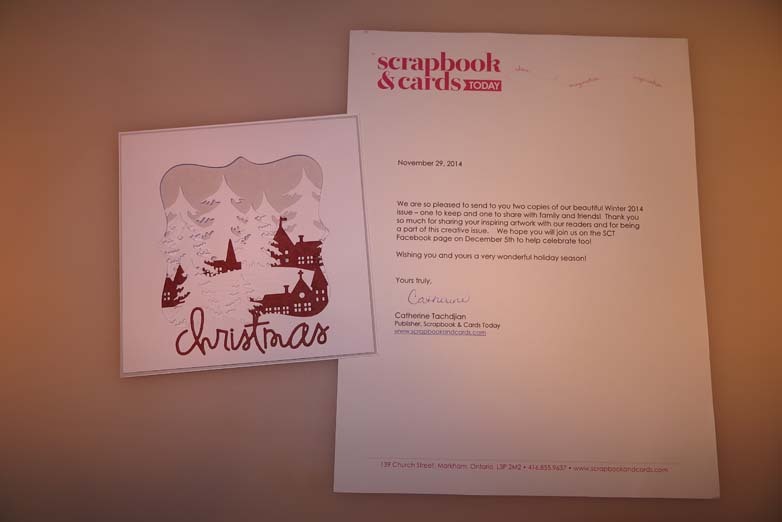 I had already forgotten about it when I got an email back, that they wanted to publish one of my cards! I was very excited until I realized, that the card they wanted to publish was sold to a client in New York. I couldn’t even get it back easily. My heart sank, but then I thought this is my chance so maybe I can recreate the card. I went through my papers and found all the products I needed and so I was on a mission. Once the duplicate card was complete I took a photo and emailed the magazine again, explaining my dilemma and the duplication card and asked if they still would want to publish it. They came back very quickly and said yes. 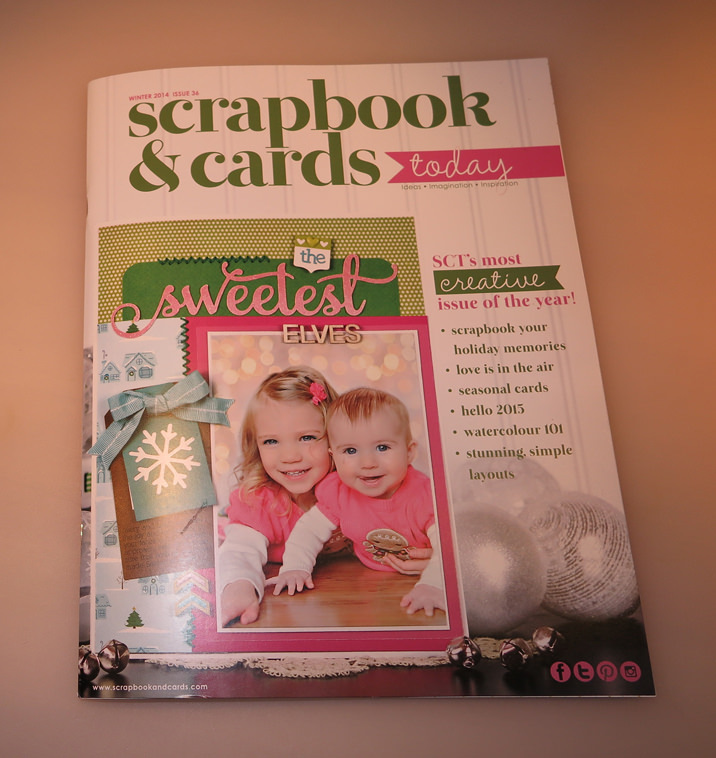 So I posted my card to Canada to the Scrapbook & Cards today magazine. I knew it would be a while until the magazine came out. Finally in mid December I found a little parcel on my doorstep. 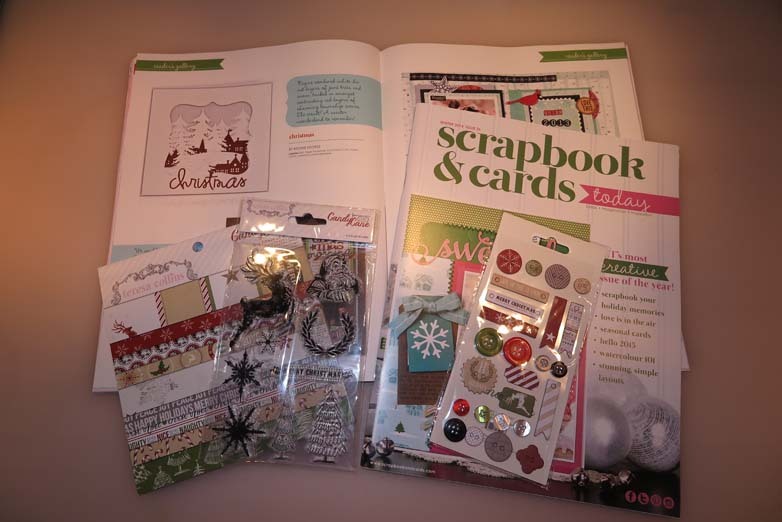 It contained my card and two issues of the magazine as well as some craft goodies: a stamp set, a paper pad and an embellishment set. 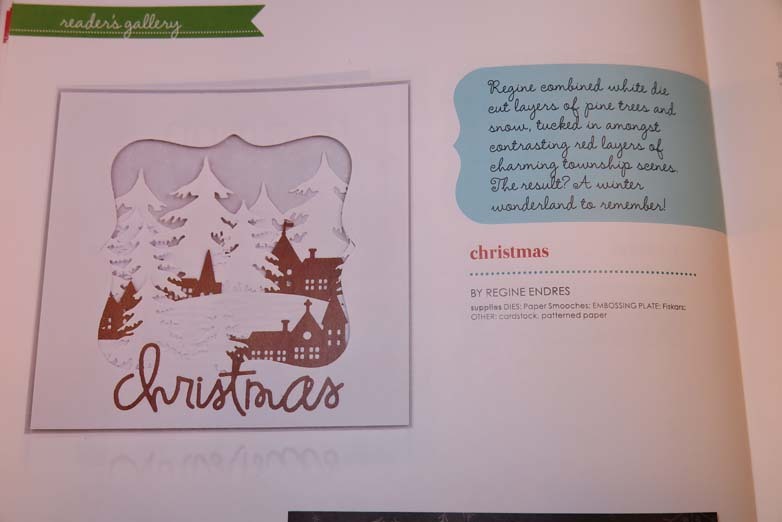 Besides seeing my name in the magazine that was a very nice surprise.